"We receive great pride serving our community. 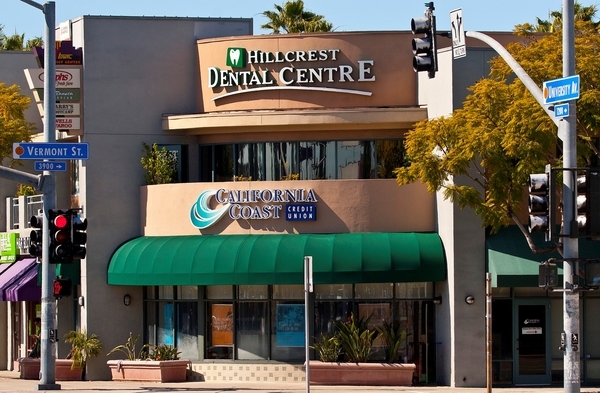 With continuing education and state-of-the-art equipment, HILLCREST DENTAL CENTRE is able to offer you and your family the high level of care you're looking for. We will give you a warm welcome and our outgoing commitment to your dental health." We want to make the dental visit a friendly and enjoyable experience , we have a water feature, flat screen TV, fresh flowers, juice bar on the reception area. We have satellite TV and DVDs in each dental treatment room, with the option of headphones to use during the procedures. We use digital x-rays and intra-oral camera that is shown on the TV screen so patients can see firsthand what the dentist sees.